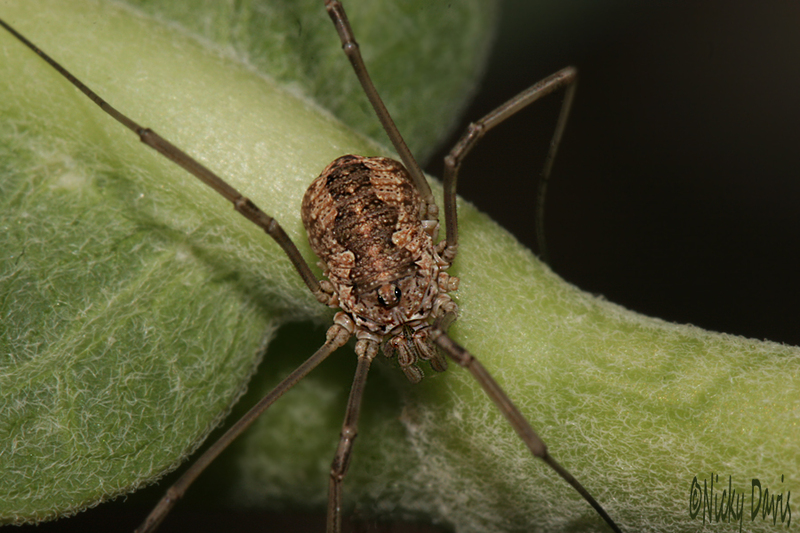 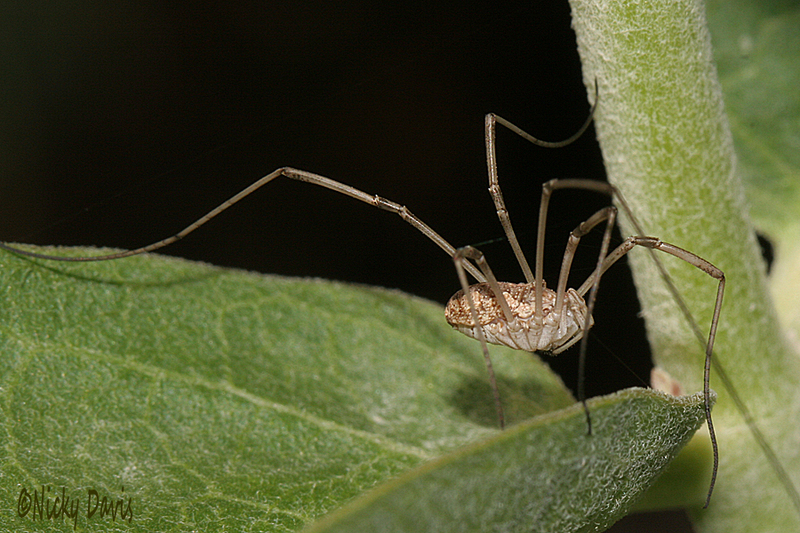 Opiliones are commonly called shepherd spiders, harvest spiders or harvestmen. 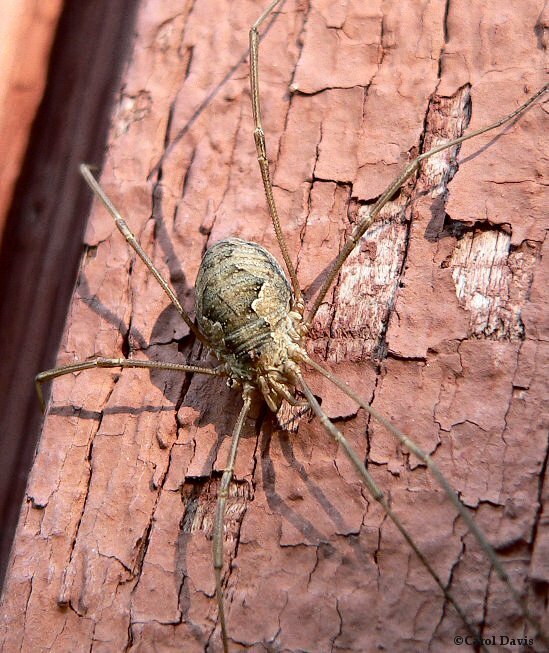 have no spinning organs, no venom, round bulbous bodies and very long legs and generally small (bodies up to about 7 mm long). 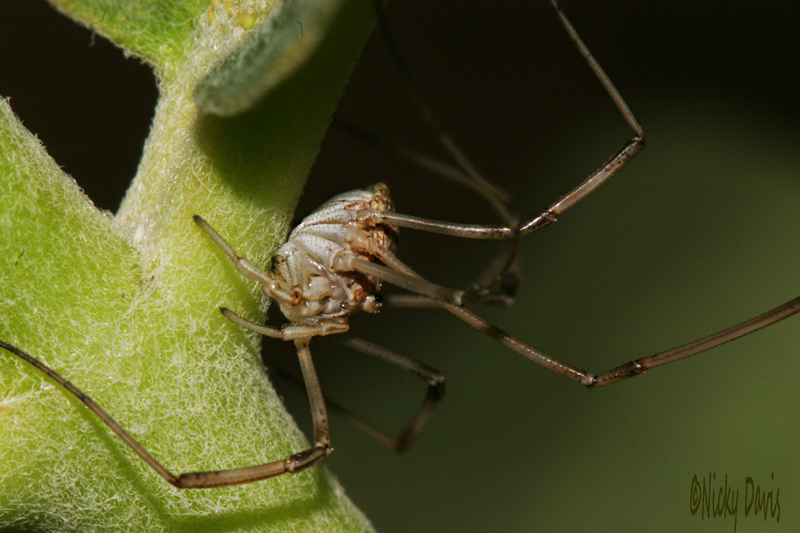 Their colors provide protection from predators but should they be attacked, they are usually able to repel the attacker with a repugnant secretion from odiferous glands.